With over 15 years’ experience and 1300+ staff strength, you are in the right hands. Use our customer support professionals trained on customer psychology to handle your customer service via phone, email, live chat or social media. Unlike standard call centers, we do not stop with merely answering calls. You get a full-fledged customer support center that ensures a delightful experience for every customer. An email or ticket answered professionally goes a long way in enhancing your brand value. We ensure all your email tickets are dealt with immediately and in a thorough manner. Now you can provide support to your customers by using our qualified/certified technical experts trained not only in technology but also in the nuances of customer care. Having a proactive live chat support on your website could increase your sales conversion by as much as 50%. Our live chat agents are available immediately to start. When you get complaints from your customers about poor customer service, it is frustrating. What is even more frustrating is you do "damage control" because your customer support team could not do a great job. However, you know damage control is not the ultimate solution. If you had a good customer support team to effectively handle issues, you no longer need to do damage control. With Integra, you don't get ordinary customer support people; you get customer support professionals who are experts in customer psychology. This psychology based customer care approach focuses on customer delight rather than mere customer satisfaction. You no longer have to worry about unhappy customers spreading negative comments about your business. In fact you would gain new business through the positive messages sent by your delighted customers. Unlike standard call centers, we do not stop with merely answering calls and tickets. Our customer care agents are also trained on customer psychology. 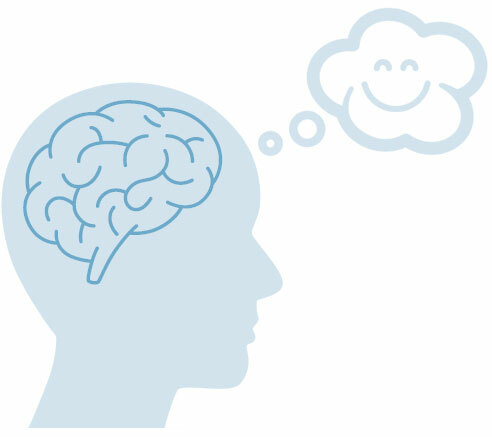 This psychology training allows us to understand a customer’s mind and leave a positive impression after every interaction. Why bother with hiring expensive in-house agents? You can get your customer care managed by professionals at a bargain price. Does your business require support during business hours or round the clock? We have flexible options you can choose from. We have been serving customers from a variety of industries since 2004. Our experience and longevity is a testament to our service quality. Need support for languages other than English? We support other languages including Spanish, French, German, Italian, Russian and Arabic. We understand that every business needs flexibility. That's why we give the option for you to engage with us on a short or long term basis. We are happy to work with start-up businesses who need an additional hand or with corporate who need help on large projects. We have built an enviable client list, over the years. Our clients include both small businesses and large companies and from a variety of industry types. Our long list of happy clients from USA, Canada, Europe, Asia and Australia are a testament to our high quality service. How will the agents get trained to support our product or service? Prior to starting your customer support project, we will ask you to share all relevant information about your product or service. Our team will thoroughly study your product or service and your support requirements. If required, we will also arrange webinar training sessions for our agents. Our agents will also learn about potential scenarios and questions they will get during the support process. These ensure that our agents will be thoroughly prepared to effectively manage your customer care. Getting started with us is a simple 3 step process. Step 1: We will assign the most suitable agents to handle your customer care scenario. You will also be assigned a personal project manager who will be your single point of contact. Step 2: Before we start your project, our agents will get trained on your product or service. The training time will be dependent on the nature of your project. Training can be done using phone calls and webinars. Step 3: For phone support, all you have to do is to forward your calls to a local phone number that we will provide you. For live chat and email support, you can provide us login access to your systems. Our team is now ready to take care of your customer support. We are a small start-up company. Will you handle our customer support? Definitely. We do not differentiate the size of the company nor how long your company has existed. We love to work with start-up companies or small businesses as much as we love to work with large corporates. How many days are required for agent training? Each project scenario and client requirements are unique. Usually the training lasts anywhere from just a few hours to a few weeks. The duration depends on the complexity of your customer support project. We can record webinar videos of all your agent training sessions for our future use. What call center tools and technologies do you use? Our customer support agents are familiar with most of the popular call center software, tools and technologies. We are also flexible to learn and work on any client specific software. Can you provide remote technical support to our customers? Yes, of course. For technical support projects, our agents will connect to your customer’s computer. We use all the popular remote connection software or tools for providing technical help, installation support or to trouble shoot and fix problems. What reports will I get? How often can you send them? We are very transparent and are happy to provide all the reports you need to assess our service quality and for your decision making. Some of the reports we send are call logs, timesheets and other custom reports based on your project. These can be sent to you on a daily, weekly or monthly basis. We will send you an invoice at the beginning of each month for the work that will be done during that month. In a few cases, we also send invoices at the end of the month. We are an ISO 270001 information security certified company. We abide by the US privacy laws and European data protection regulations. As a part of the ISO requirement, comprehensive data security measures have been implemented to protect the confidentiality of your data and information. Our servers, network, offices and systems are protected by bank grade firewalls and security systems. These detailed security measures guarantee your data confidentiality and peace of mind. Can your agents work the software that we currently use? Yes, we are flexible to work on any software that you would like us to use. Our agents have expertise with most of the popular customer care software available on the market. In case, our agents are not familiar with your software, we are happy to learn your customized or proprietary software and then use on your project. Can you send us our call recordings? Absolutely. We can send you live call recordings on a daily, weekly or monthly basis, depending on your need. How can I transfer my calls to you? Before we start your customer support project, we will get a phone number with your local area code. All you have to do is to just forward your calls to this number and we will take care of the rest. Do you handle outbound tele sales projects on a commission only basis? No. Unfortunately, we cannot undertake outbound sales projects which pays only a commission fee. As you might very well know, sales success depends on many factors. However, we are happy to select and give you highly skilled outbound tele-sales agents who will work on a fixed monthly fee basis. You also have the option of interviewing and selecting your agents. What hours are you able to provide customer support? Our customer support service is available 24/7. You can use also choose to use our service only during your business hours, after hours, weekends only, 24/7 or any other custom scenario specific to your company. How is your customer support service different than others? Our agents are trained on customer psychology and they understand the nuances of customer emotions. This psychology-based customer care approach is unique to the customer care industry and is geared towards achieving customer delight. While most companies merely focus on providing customer support services, we take one step further and think about customer emotions and how we can effectively connect with them. Will you be able to manage our seasonal call, email or chat volume spikes? Yes. Absolutely. Just let us know in advance and we will add additional agents to handle your seasonal work volume spikes. Can you attend and then forward phone calls to our office? Yes, we can attend all the phone calls and identify the ones that needs to be forwarded to you and then forward those calls to your office. During the initial setup stage, you can assign rules on which calls need to be forwarded and our agents will follow it. Why should I choose your service over other companies? We are customer support and customer care experts for over 15 years. We have worked on numerous types of projects. Our customer care agents are cherry picked based on their telephone etiquette, work ethics, can-do attitude and genuine empathy for customer care. All our agents undergo rigorous training on your product or service plus mandatory customer psychology training before commencement of any project. Our meticulous training processes, strong customer satisfaction principles combined with our knowledge and understanding of customer care makes our service a very attractive choice for you. Can you follow our customer support script? Yes. Absolutely. We can use your script for providing support to your customers. You can provide separate scripts for phone, email and live chat. Based on our experience, we can also suggest modifications to improve your script. Can I use your services only for our overflow calls? Yes. Sure, you can use our service only for overflow calls. We can also complement your team with after business hours support, weekend only support, or any other custom timeslots required for your business. Yes. We are glad to accept your short-term projects. Contact us with your project details and we will send you a customized quote. How long does it take to kick off our project? Smaller projects that may need shared agents or less than 3 dedicated agents can be immediately started. Medium size projects which require anywhere from 4 to 20 dedicated agents can be started within 3 to 4 weeks. Larger projects which require more than 20 agents can be started in phases, and fully operational within 4 to 6 weeks. How do you effectively handle a challenging or difficult customer? Our agents go through special customer care psychology training which helps them to effectively to handle all types of customers. We understand that that every customer is unique, and their requirement is different. The customer will be in different moods when they contact customer care. Their moods could vary from happy, sad, confused, neutral, upset, angry, ecstatic and so on. Our trained agents will understand their moods easily. Because we understand them better, we can better serve them. This is how our agents are able to easily handle even the most difficult customer. What are your service cancellation terms? Our terms are very flexible, and we do not require long term tie-in contracts, unless you specifically ask us so. Our standard term for customer care project is 60-day cancellation policy. You can cancel our service anytime during the agreement period by providing us a 60-day notice period. It is simple and easy. From which location do your agents work from? We have offices in multiple international locations. English language support is primarily provided from our offices in Philippines and India. European languages including Spanish, French, German, Italian, Egyptian and Russian are supported from our Easter European center. Our US and UK offices also employ a customer care support agents. Is there a long-distance call charge applicable for your service? No, you will not get any long-distance call charges. Prior to starting your project, we will give you a local phone number to transfer your calls. You just need to transfer your calls to the local area code number we provide you. Can you handle multiple calls/chats at the same time? Yes, we can. Just choose the appropriate pricing plan that will cover multiple calls/chats at the same time. How do you ensure quick resolution of email tickets and technical support calls? First call resolution is our primary goal. However, not all the customer support scenarios are designed to resolve on the first call/email. Some will take more, but our aim is always to minimize the number of callbacks or tickets. Our experience enables us to structure the customer support process towards resolving issues on the first call. Our agents quickly identify the core issue, take necessary action to with a sequence of steps to resolve the issue on the first instance. Will your agents call back the customers who have left a voice mail? Yes. We can call back the customers. This call back process depends on your requirements. What languages do you offer customer support? We offer customer support in English, Spanish, French, German, Italian, Arabic, Turkish, Russian and Ukrainian. I need a large team for our requirements. How soon can you get started? For larger projects that needs more than 20 agents, we can start the project in phases and be fully ramped up in approximately 4 to 6 weeks. Contact us with your specific needs and we will get back with a custom quote and an exact timeline. What strategies do you use for higher sales conversions? Our 3-pronged sales strategy uses Attraction, Conversion and Consumption principles. This proven strategy has been developed, tested and mastered by us over the years. We employ this on the customer care projects that involve sales, upselling or cross-selling. Conversion: Introduce your new product or service at the most opportunistic moment to win additional sales.